We visit historic sites in Capitol Hill and as we visit these sites, we’ll sample some of DC’s finest local sweets that the neighborhood is known for. The neighborhood of Eastern Market/Barracks Row is set on historic Capitol Hill, where the homes of historical figures mix with modern day congressmen. One of DC’s first neighborhoods, you’ll see the small town charm in the center of the City. From John Phillip Sousa’s first home, to the men and women at attention at the Marine Barracks, hidden statues and a lost wine cellar. The diverse architecture surrounded by the old trees on Capitol Hill to the historic Main Street of 8th Street SE. And as we visit these historic sites, we’ll sample some of DC’s finest local sweets that the neighborhood is known for. 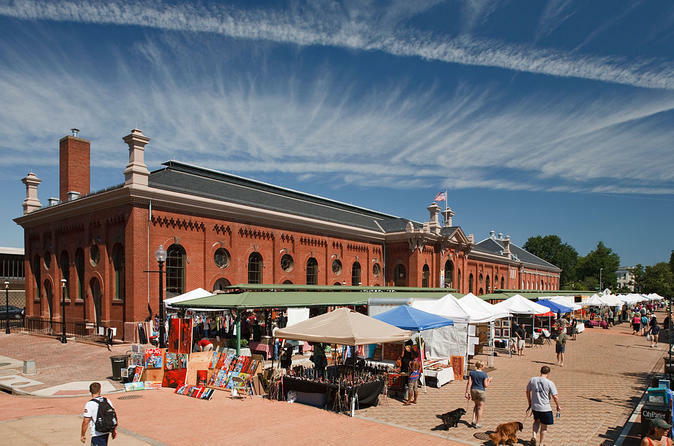 The tour ends at Eastern Market, DC’s oldest market where you’ll have time to meander the farmers market for fresh local produce, shop at the weekend flea market, or eat some more! Note: We will view the above sites and homes from the street and will not be entering any residences.